Following a military crackdown and renewed violence in Myanmar, nearly 400,000 Rohingya Muslims have fled to Bangladesh and other neighbouring countries. This is the latest chapter in a long and tumultuous history of the Rohingyas, the world's largest stateless population. At the core of this growing humanitarian crisis is the principle of non-refoulement. Under international refugee law, this principle forbids a country receiving asylum seekers from returning (deporting) them to a country in which they would be in likely danger of persecution based on "race, religion, nationality, membership of a particular social group or political opinion." In the same light, the Indian government's proposal to deport the Rohingyas is in violation of the principle of non-refoulement. It also raises questions about the government's stance that this is not covered under international refugee law. Referring to the prosecution faced by Rohingyas in Myanmar, the United Nations called the military crackdown "an example of ethnic cleansing" which is a blatant disregard of international laws. Now, this raises pertinent questions over India's responsibility and why is it necessary to accommodate Rohingyas. Thus, we need to have a look at international jurisprudence to understand the situation better. Article 14 of the Universal Declaration of Human Rights (UDHR) says that, "Everyone has the right to seek and to enjoy in other countries asylum from persecution". It is a basic human right applicable to all persons. Similarly, the principle of non-refoulement forms the very foundation of the international refugee and human rights law and is where states derive their liability. According to this principle, states are under obligation to not to send back the refugees to their country of origin when the circumstances of grave violations of human rights exist there. The underlying idea of this principle is concomitant with the customary international law and other conventions related to refugees and human rights protection. Similarly, Article 33 of the 1951 Refugee Convention incorporates the principle of non-refoulement, which says that refugees cannot be forced to return to his country of nationality or ordinary residence where they fear persecution on the grounds of race, religion, nationality, membership of a particular group or political opinion. Further, it is mentioned here that on grounds of national security and for those who have committed serious crimes, the state in good faith can refuse to provide stay to the refugees. 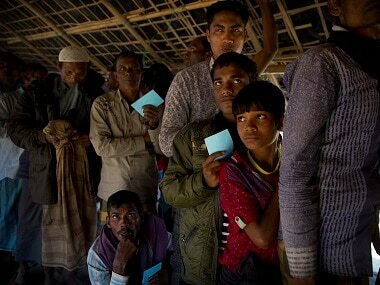 Recently, Mohammad Salimullah and Mohammad Shaqir on behalf of Rohingya Muslims had filed a petition before the Supreme Court of India against the government's decision to deport them back. They argued on two grounds: Firstly, deportation under the present circumstances would constitute a violation of Article 14 and 21 of the Indian Constitution and secondly, it would violate the 'principle of non-refoulement'. However, the government has defended itself on the grounds that Rohingya Muslims constitute a threat to national security and are guilty of committing crimes against peace. Hence, the government argues that they can be deported under the exception enunciated under Article 33 of the Convention on the Status of Refugees. In India, the role of the Judiciary in this regard has been phenomenal. By virtue of Article 14 and Article 21 of the Constitution of India, which applies to citizens and non-citizens, courts have tried to liberalise the Right to Equality and Right to Life and Personal Liberty, respectively. In Ktaer Abbas Habib Al Qutaifi versus Union of India & Ors (1999), non-refoulement was recognised under Article 21 of the Indian Constitution by the Gujarat High Court. This concept has been put into practical application in various cases by the Indian Judiciary. In case of Khudiram Chakma versus State of Arunachal Pradesh (1994), the apex court accentuated upon the Article 14 of the UDHR, 1948. The court went further to say that every person who is seeking asylum in a state cannot be sent back to the state from where he has come if a risk of persecution is embedded. In NHRC versus State of Arunachal Pradesh (1996), the apex court again emphasised on the protection of rights of the refugees in India to preserve the constitutional culture. The court held that the rule of law is the predominant segment in the Indian context. The constitutional sway in a country like India reflects the right to equality and thus, ensures right to dignified life to citizens as well as non-citizens. The court, in this case, directed not to refoule the Chakma refugees who were nationals of Bangladesh on the basis of non-refoulement. Concomitantly, India derives its obligation to protect Rohingya Muslims through international law and judicial trends. The underlying issue here is why the central government is reluctant to provide accommodation to Rohingya Muslims. The answer is rather unappealing. 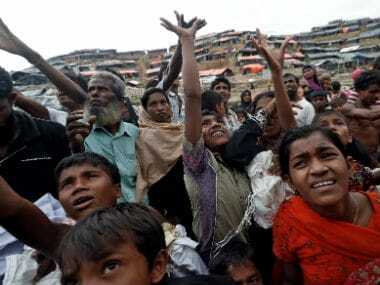 The Centre is concerned that some Rohingyas have settled in various parts of India – with "half of them settled in Jammu & Kashmir" – from where it is very difficult to deport them. The government feels that they are likely to engage in terrorist activities. 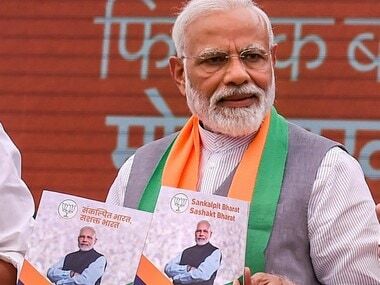 Further, the government has shrouded the crisis in a garb of 'national security', citing the growing incidents of terrorism in Myanmar and India. 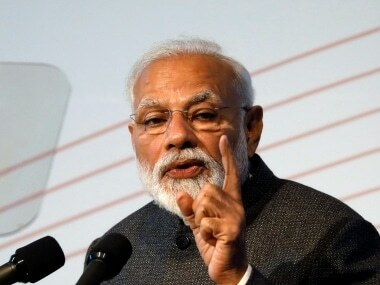 Prime Minister Narendra Modi, in his recent talk in Myanmar, assured the country to work on the counter-terrorism methods because both the countries are seriously facing the problem of 'terrorism'. Of course, it should be a concern of the government to maintain peaceful international relations. But, this should not be done at the cost of compromising the lives of the Rohingya Muslims because India has an international obligation not to deport them on compassionate and humanitarian grounds. It's not strange that the plight of ethnic groups all over the world has been miserable. For any system to work efficiently, it is necessary that it must adhere to certain policies, principles, laws and socio-economic conditions. In this context, Meenakshi Ganguly, South Asia director for Human Rights Watch said, "the Indian government cannot return the Rohingya to a country that is engaged in ethnic cleansing against them." Therefore, one should always consider both sides of the fence. The Rohingya people cannot be deported if the fear of persecution exists in their country. A denial of safe and dignified life to them is in violation of India's domestic and international laws. Furthermore, India should strive to frame laws in alignment with the principles of international law so that arbitrary deportation does not cause any undue hardship on asylum seekers/refugees. Amidst such restricted and uncertain rules, its dismissal rate has, in fact, invoked a sense of pessimism. It's the need of the hour to redefine the institutional niche for effective governance by creating independent bodies through the collective efforts of the community, for providing the local assistance to Rohingya Muslims. 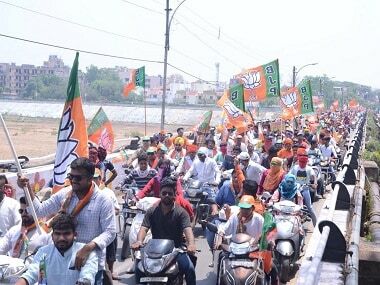 Ultimately, the crisis is only asking the Indian government to display a sense of humanity. Megha is a postgraduate in Human Rights Law from NLSIU, Bengaluru. Mayank is a fourth-year law student at NUSRL, Ranchi.